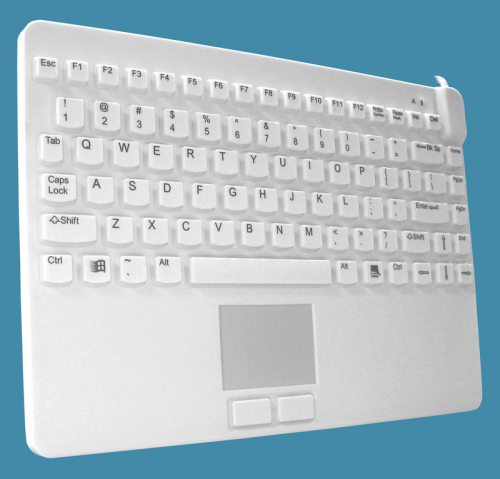 The Slim Cool + is a Medical Grade, water-resistant keyboard with an integrated touchpad. 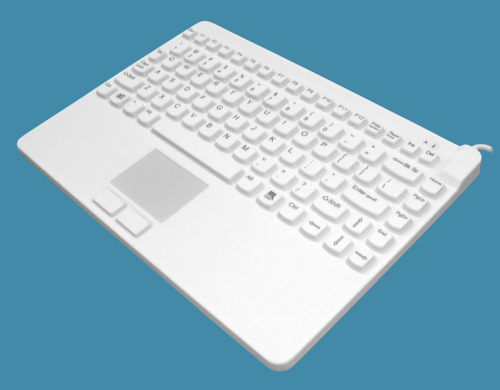 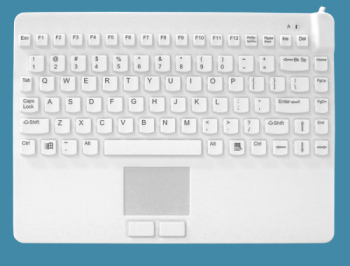 The touchpad is centered on the keyboard to allow both right and left handed users to type and enter data in an ergonomic manner. The Slim Cool + keyboard is an excellent choice when you prefer a superior and easy keystroke. 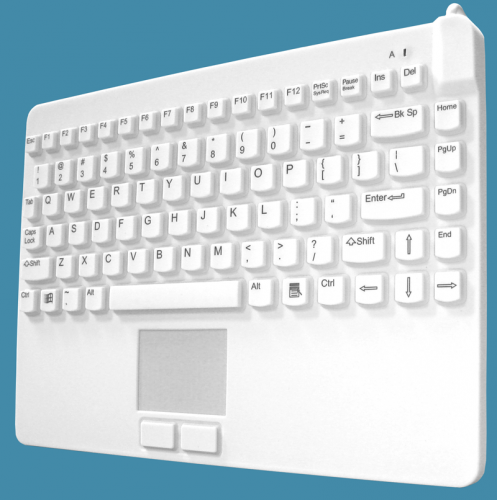 No mouse is required with these durable, sealed waterproof boards, giving you one less thing to clean and disinfect!